Looking for a water pump for 1914 White & Poppe engine. 30 inch Dennis Mower for sale. See photos. Dennis engine. With trailer seat. Offers in the region of £350. On 10th – 11th August 2019 The Fire Engine Preservation Trust are holding a display at the Hollycombe Steam Centre, Liphook, Hants. Brexit advice has been received from the FBHVC if you are considering taking your historic vehicle across the Channel, or into the Republic of Ireland, this year. Members can find this in the Members section. ADL will be looking for vehicles to run on the free bus services, on tours mainly. There will be customer vehicles on site too they will be providing the service for the station shuttles. ADL would like as many examples on site as possible. All visiting vehicles will have to booked in advance to attend will not be able to be accommodated on the day. Entry forms will be available shortly. ADL are also looking for volunteers to help talk to visitors about the vehicles on display and the history of Dennis. There will be a slide show of interesting vehicles in the meeting room and any pictures/scan members can provide would be useful. Sandtoft Airfield 999 Emergency Services Day. There is to be an emergency services event on the 22nd June 2019 at Sandtoft Airfield (Sandtoft Road, Belton North Lincolnshire DN9 1PN) to raise funds for the emergency services charities. Participants welcome and this could be of interest to the owners of Dennis Fire Appliances – or Ambulances. I have two pedal rubbers with the Dennis script logo moulded in that need replacing. They are 70mm x 115mm. Is there a known manufacturer / supplier or anyone that may have spares in good condition. I'm looking for a Dennis F12 Bumper. We are currently renovating our recently aquired Dennis Lancet III, HOU 904 which is missing a front chrome wheel trim. We also need a spare wheel (10 stud 900 x 20 split rim) and a wheel brace. For sale Dennis Coach Builders drawing dated 1958 for Heron Goods Chassis. Approx 50 x 30 inches. See photos. Does anyone have any further details of a 60/70hp fire appliance chassis No 7143 delivered to HM Dockyard Malta in early 1929? Dennis Dominator for sale. The bus is currently located at Knottingley, West Yorkshire. Offered for sale for repair / spares / restoration. Compressor defective. Most seats have been removed. No MOT. Ex South Yorkshire, Alexander Body. Fitted with disable lift. Manufactured in 1982. Potential restoration project or for spares for an existing project. Information wanted please. I recently brought a no3 Dennis pump with DB2 engine. I'm new to this. The reg number is XBF 7. its green and thought it would be originally red. But can't find and red paint on it. Thanks. Would anyone have (or know the whereabouts) of a front brake drum for a Loline (I believe it is the same drum for the original Loline and the Loline III). Many thanks. Does anyone have (or now the whereabouts of) a Loline front wheel brake cylinder and/or rubber piston ring. The cylinder is 4.25" dia. Believed to be the same on the original Loline and the Loline III. A member is helping his friend to get his Dennis Pax 1949 PHK 380 flat bed with side & tail boards running. The vehicle must have been a tipper originally as all the ram engine driven pump and pipes are still in place with the ram arrested in a steel bracket. Information requested about its past and the owner would welcome any history details please, does anybody recognise it? See Photo. Urgently wanted – rear brake drum for 1955 Dennis F8 fire appliance, or location of scrap vehicle in the South East. Any Dennis from 40s or 50s will be worth looking at as I’m sure many parts were common. Many thanks. After 8-9 years working on his F8, the last major job has been the brakes. He has sorted 3 out of 4 and at the last hurdle, but a few days ago, the owner found the o/s rear brake drum had been cracked. Any help or advice welcome. At the 1932 Scottish Motor Show Dennis exhibited a Lancet with a Dennis-built observation coach body, wearing the mock registration plate "AD 1933". After the show it seems to have disappeared and I can find no genuine registration mark or later user for the machine. Does anyone know the fate of this vehicle? 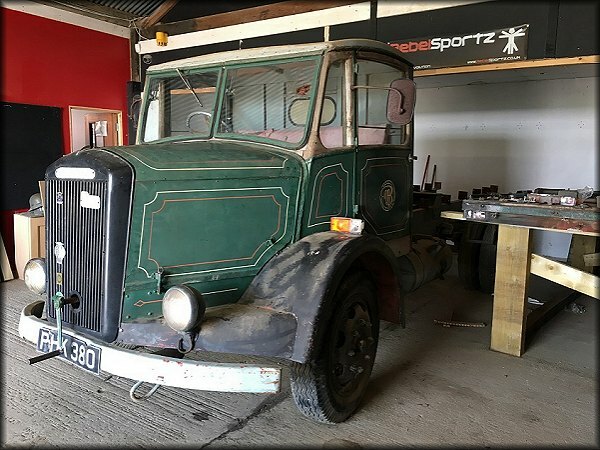 The only other Dennis observation coach was AKL 472, a Lancet delivered to Folkestone-based Autopilots Ltd in 1933 for their London service, but this had Duple bodywork. This machine was passed to East Kent Road Car Co with the Autopilots business in 1935 and lasted with them until 1938. So far I've been unable to find a photograph of it in EK livery, and I wonder if anyone can help with this? For sale. Smiths 3 inch rev-counters. 4 – 1 max 4,000 RPM mechanically driven NOS. The views expressed on this Message Board are strictly personal and Dennis Society does not necessarily subscribe to them. With Sales and Wants the Dennis Society does not accept any responsibility, the contract is between the seller and buyer. &COPY; Copyright by Dennis Society, All Rights Reserved.